Please click here to access the application form for the 2014 Dancers' Camp. 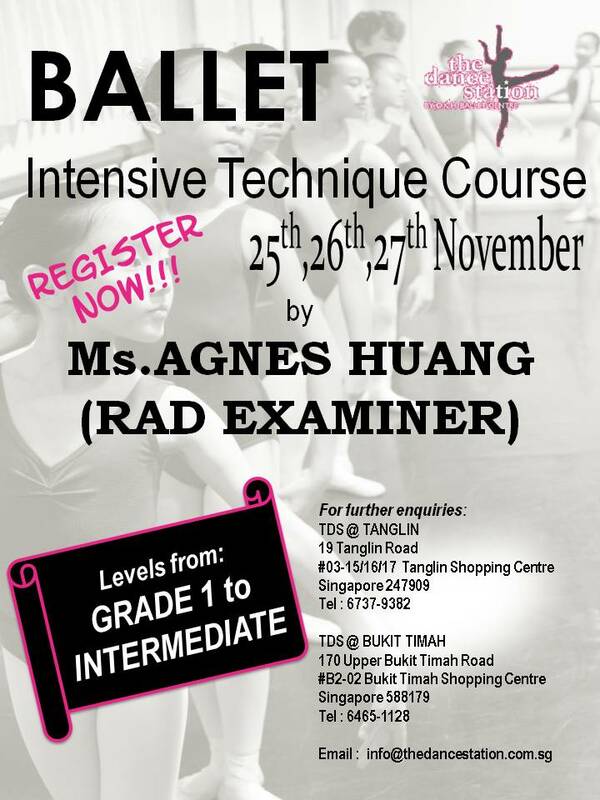 This coming November, we have invited Ms Agnes Huang, a RAD Examiner to conduct a three-day intensive course on Ballet Techniques. Ms Huang is not only the Grades Examiner of Royal Academy of Dance (RAD) since 2003, she is also a well established Dance Teacher in Hong Kong. 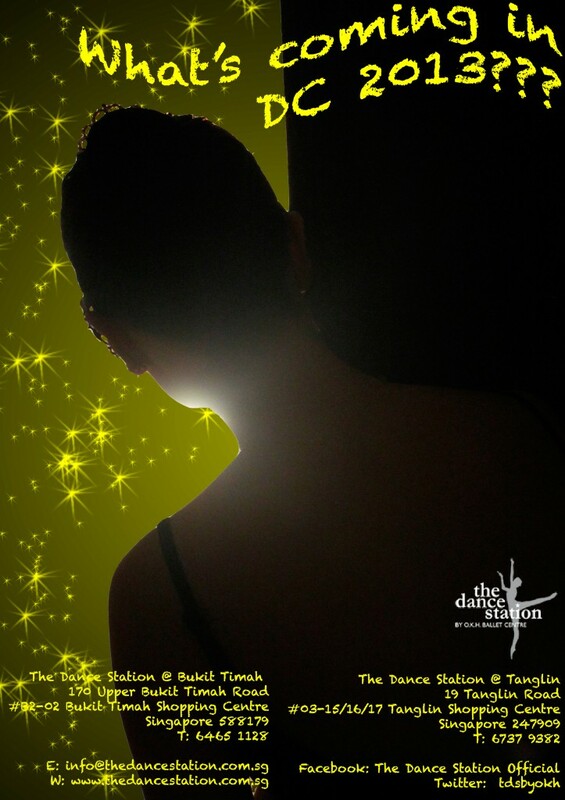 Besides examining, Ms Huang is also a Tutor for the RAD Certificate in Ballet Teaching Studies since 2007. As there are limited intake, do sign up early to avoid disappointment! Please click here to access the application form for the Ballet Intensive Technique Course. Please click here to access the application form for the 2013 Dancers' Camp. Dancers’ Camp Teachers’ Course 2013 The Dance Station is very excited to be presenting the first Teachers’ Course from 20th to 22nd December 2013, during The Dancers’ Camp. 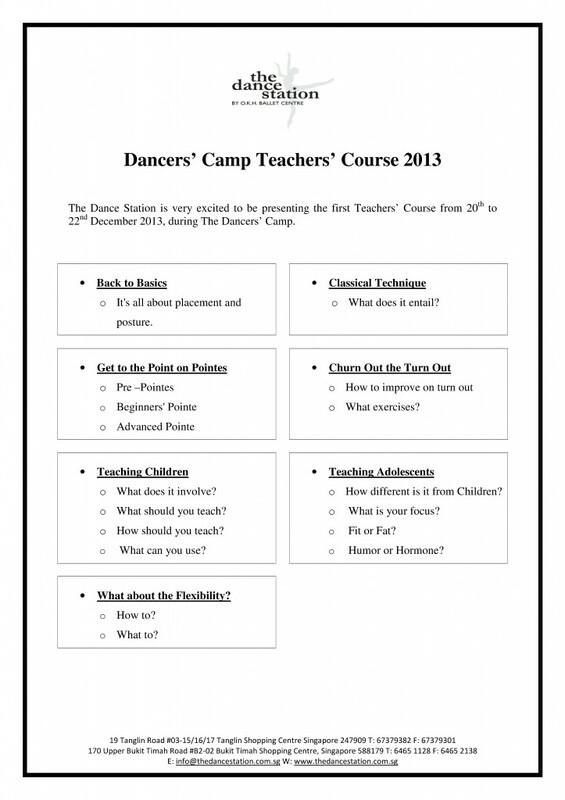 Please click here to access the application form for the Dancers’ Camp Teachers’ Course 2013.